Great North Christmas Festival - 18th ‘WASSAIL’ at Botton and Whitby. 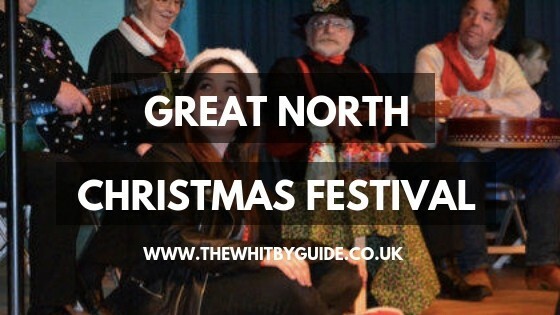 HomeWhitby EventsGreat North Christmas Festival – 18th ‘WASSAIL’ at Botton and Whitby. Festival On The Moor’s GREAT NORTH CHRISTMAS FESTIVAL, kicks off with the ‘WASSAIL’ – returning to Botton Village, at the beautiful Joan Of Arc Hall, on the 14th December, followed by a second performance in Whitby on December 19th, in the intimate setting of Sanders Yard Bistro. The Festival show at Botton will combine seasonal songs with the music of talented Fiddle & Accordion duo, Christine Williamson and Carole Millward, better known as ‘Blind Panic’. They will be adding a Ceilidh atmosphere to the proceedings, so there’ll be something for everyone and for all ages. Blind Panic will be joined by festival singers Richard Grainger, Chris Milner, Beth Burrows, Maggie Gee, Steve Dawes, Margaret & Tony Maughan, Dor Fountain, Paul Lucas and Alan Young. Seasonal food and drink, and a ‘hearty’ supper will be on offer at the festival bar. There’s a bumper raffle with lots of prizes . The music kicks off at 5 pm in the Foyer bar. WASSAIL will start at 7.30pm. This is a Pay What You Want event and is open to all. For a more intimate event, the Wassail takes place at the gorgeous Sanders Yard Bistro in Whitby old town on the 19th. Sumptuous sounds and scrumptious food make this the perfect evening to get you into the Christmas mood. Tickets are strictly limited and are priced at £13 to include a festive supper. They are available from the Bistro and the Festival’s website.